Collectible scene figure Leblon-Delienne: Codfix. Limited edition to 999 units. 14cm. It’s no news that any discussion about the, err, merits of the fish sold by Unhygienix will set off a major brawl in our favourite Gaul village. 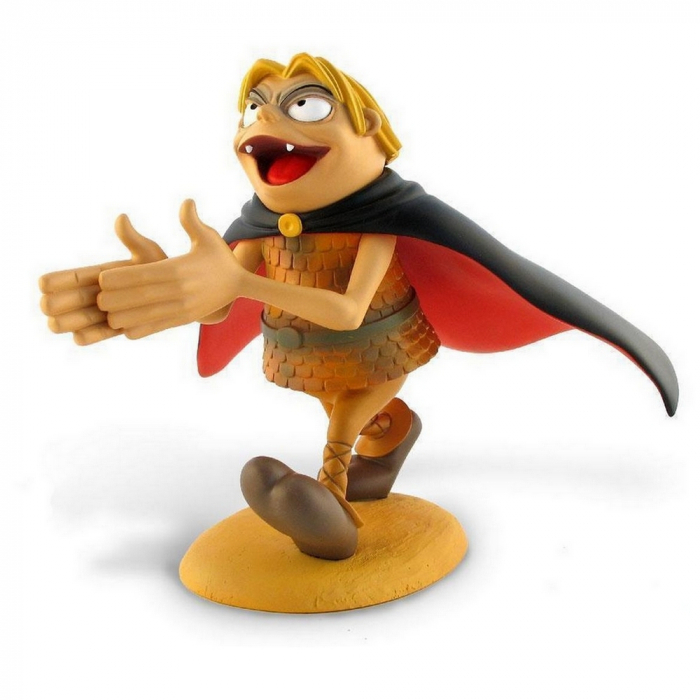 Perhaps it is this inevitable Gallic axiom that inspired Albert Uderzo to create one of the most famous, and most despicable, bad guys in the world of Asterix. The horrid Codfix, with a head like a pickled herring and his noxious body odour, matches the other heavy, Tortuous Convolvulus, in sowing discord wherever he goes. Using this scenario as an added pretext for a fish fight, Albert Uderzo treats us to an Asterix album outside the village, while respecting all the traditional themes invented with his friend René Goscinny that made Asterix a success. A masterpiece!